Conventional wisdom tells us that text typography and display typography have opposite goals: a typeface should never catch the eye in extended text, but on a poster, being eye-catching is kind of the point. I’m not sure if there is an agreed-upon name for this genre; personally I think of them as “novelty text” typefaces. I also like the term “advertising text,” which I first heard from from David Berlow when describing intended uses for my typeface Trilby. The term recalls midcentury advertising that featured a paragraph of copy, much more than we typically have today. It’s kind of a weird impulse to take a super-interesting idea and then execute it in a boring-ish way. But I think it can be a useful typographic exercise to distill a style down to its essential elements in order to truly understand how a system works. This is what I have attempted to do this month with the whimsical Jugendstil lettering of Max Joseph Gradl. Examples of Gradl’s lettering, large and small. From Schriften-Atlas, courtesy of Jason Carne’s Lettering Library. Active around the turn of the twentieth century, M. J. Gradl was a German artist whose diverse body of work in the Art Nouveau style covered jewelry design, wallpaper design, and advertising. There have been various typographic takes on Gradl’s imaginative alphabets in the past, including an early digital version for Microsoft by the aforementioned David Berlow. While existing digital interpretations celebrate Gradl’s work in all of its wavy grandiosity, Polliwog thinks small. (The name “polliwog” is actually a synonym for “tadpole.”) The typeface suggests that all you need to create a compelling rhythm in a block of text is a single drop of Gradl’s proto-psychedelic Jugendstil energy. The core of Polliwog’s interesting texture comes from the juxtaposition of straight stems and broad, swinging curves. Even though letters like A, U, and V are distinctively asymmetrical, there is a great deal of symmetry in the overall design; curves are just as likely to swoop to the left as they are to the right. Outer curves flatten out abruptly as they hit the tops and bottoms of letterforms, causing the weight to clump up momentarily and emphasizing the horizontality of the line. This unevenness in weight is echoed in the softened and tapered stroke endings, giving a bit of wobble to an otherwise-skeletal design. The font includes a handful of alternates, giving you the opportunity to fine-tune the flavor of your text. Polliwog is available this April for members of the Font of the Month Club; memberships go for as little as $6/month, so do yourself a favor and sign up today! I am truly impressed by this use of Fern in True Blue, a story by Eliot Peper with immersive illustrations by Phoebe Morris and design by Peter Nowell. Deriving a sans serif typeface from a serif is rarely as straightforward as I want it to be. And that goes double for a typeface like Nickel, whose serifs are so large and distinctive that it’s hard to imagine what it would look like without them. Longtime club members might remember Nickel as the Font of the Month Club’s inaugural release. It’s a stocky engraver’s alphabet based on a banknote inscription that I found in a New York Times article about the design of money. If you look closely at that banknote, you can see that it also features small supporting text rendered in a squarish sans. It is blocky like the prominent serif above it, but also a good deal wider and heavier. This became the jumping-off point for February’s font, Nickel Gothic Wide. Seeing those tiny bits of sans serif on that banknote made me realize that, hiding behind Nickel’s oversize, swooping serifs, there’s actually a lot of subtle-yet-interesting stuff that could serve as the blueprint for a sans serif design. And I think this true of many sans distillations; with fewer opportunities to show off, they need to reach a little deeper into their bag of tricks. The new sans serif retains the overall squarishness and closed apertures of the original design, but its heavier weight and broader proportions endow it with an intense energy of its own. There is an unusual tension between the round counterforms (with two straight sides) and the round outside shapes (with four straight sides), which sets it apart from other straight-sided gothics. There is also a certain rawness to Nickel Gothic Wide’s drawing style. The stroke contrast varies greatly depending on the complexity of the letterform (compare the horizontals of B and T, for example), and the shapes are defined by abrupt, near-mechanical transitions between straight and curved segments. Despite its 1918 roots, Nickel Gothic Wide has a certain ’70s vibe that I made no attempt to shy away from. I was told by multiple people that this type of squarishness reminded them of Neographik, a typeface designed by Robert Barbour in 1970. I’m not sure I had ever seen it before last week, but I totally see the connection! Neographik got me thinking about drawing alternates that would allow you to calibrate the amount of “Grottiness” in the design. The Neographik-style curvy R pulls the design a step in the direction of the British Grotesques, while the G without the little beard on the bottom (I’m calling it “clean-shaven”) pushes it towards modernist extended faces like Information and Microgramma. I was curious about how Nickel Gothic Wide would look in other writing systems, and kind of fell into a rabbit hole drawing matching capitals for Cyrillic and Greek. I’m pretty happy with the results, and I hope at least some of you appreciate the additional language support. Special thanks to Masha Doreuli, George Triantafyllakos, and Irene Vlachou for their comments on the Cyrillic and Greek, and Sybille Hagmann, André Mora, and Nick Sherman for their general suggestions about the design. And finally, many thanks to María Ramos and Stephen Coles for writing/publishing the review of Nickel on Typographica, which convinced me to move forward with an expansion of the design. Nickel Gothic Wide is available this February for members of the Font of the Month Club; memberships go for as little as $6/month, so be sure to sign up today! Today I am happy to announce latest addition to Fit: Fit Armenian! Designer Gor Jihanian designed this mesmerizing, interlocking alphabet to fill space with maximum impact, inspired by the inscriptional forms of Armenian gravestones in India. He also built an incredible minisite to showcase this bold new expansion and to tell the story behind it. I hope you enjoy this look back at some hyphens I drew in 2018 for Font of the Month Club. 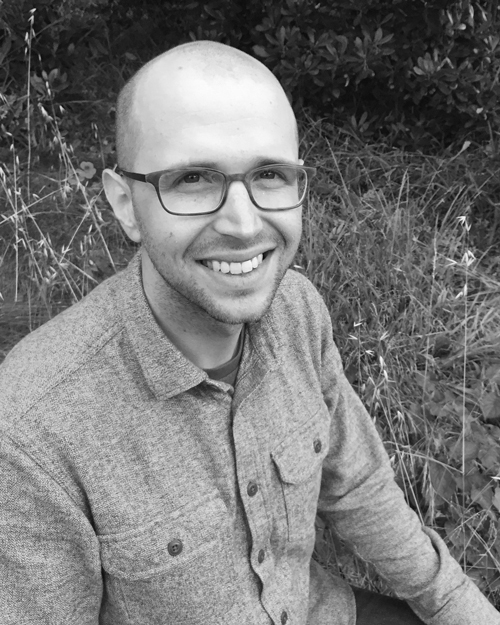 Ilia from Workspiration recently published an interview with me where I share some thoughts on fonts and sandwiches. There are also some worthwhile interviews with other type designers such as Masha Doreuli and Jackson Cavanaugh that are worth a read. Last summer, I received a big envelope in the mail from Roger Black. You might already know that I worked with him on a revival of Forma, the sans serif published by the Italian type foundry Nebiolo in 1968. But what you might not know is that Nebiolo also produced a slab serif counterpart to Forma in the early 70s called Dattilo. And what Roger’s envelope contained was a handful of original specimens of that design. Forma and Dattilo share an interesting history as the product of a committee of eight prominent Italian graphic designers led by Nebiolo’s art director, Aldo Novarese. The struggling foundry assembled this committee to create a new “universal” typeface that would compete with the likes of Helvetica and Univers. Indra Kupferschmid documented this unusual tale of design-by-committee in an article that accompanied Forma DJR’s release, and even more detail can now be found in a pair of recent articles by Alessandro Colizzi. Just like Forma, Roger has admired the design for decades, even commissioning a phototype version from Jim Parkinson for a 1977 cover of Rolling Stone when the original metal was unavailable. With our revival of Forma published in 2016, a complementary revival of Dattilo seemed like a natural next step for the design system. And this month I’m happy to share with you a preview of the lightest weight of the largest size of the new in-progress family: Dattilo DJR Banner Extra Light. Picking up where Forma DJR left off, my interpretation of Dattilo is guided by the things that Roger loved about this era of typesetting: the meeting of lofty ideals of universality and perfection and the realities of working with ink, metal, and paper. Rather than trying to achieve the most beautiful or perfect shapes, I was focused on conveying some of the design’s physicality. So you can see slight variations in stroke contrast, as well as blunted corners and ever-so-slightly tapered serifs…but no tapered stems this time! One of Forma’s defining characteristics is its super-tight spacing, which is a bit harder to achieve in Dattilo with all those serifs in the way. But that additional space endows Dattilo with an interesting rhythm and a typewriter-influenced personality distinct from its sans serif counterpart. And the spacing still prioritizes closeness over a steady rhythm, giving text a 70s vibe. A few of Dattilo forms diverge from Forma’s design, and instead borrow from Forma’s set of Swiss-style alternates, including the R with a curved leg and the bearded G. And while Dattilo retains Forma’s trademark single-story a, it does come with a two-story alternate. Now that I’m sending the Extra Light to you, I’m going to use this as an excuse to spend some more time with the heavier side of the family, which diverges even more from Forma in its look and feel. Dattilo DJR has already been used to great effect by Roger in the latest issue of Type Magazine (pictured below), as well as by Mark Porter in his recent redesign of Domus, the Italian architecture and design magazine. Now I’m excited to see what you do with it! Dattilo DJR Banner Extra Light is available this month to members of Font of the Month Club. You can join for as little as $6/month, and gift subscriptions are available! 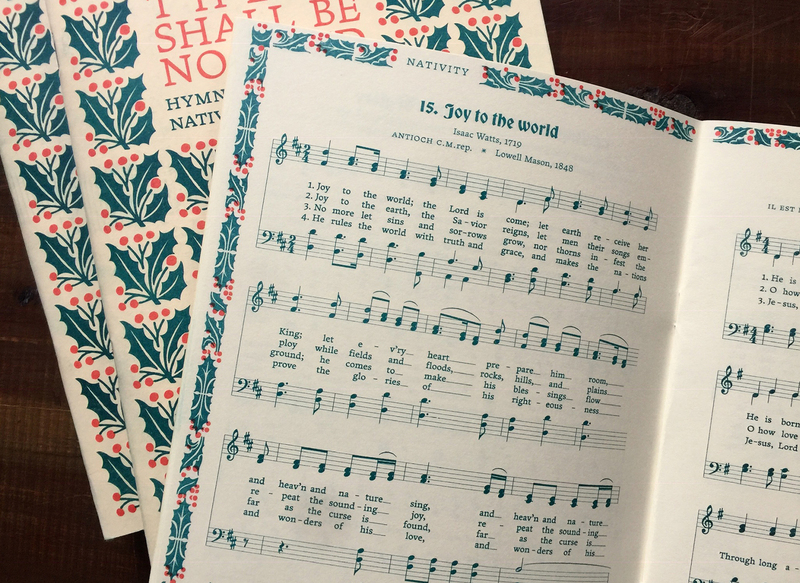 I adore this use of Fonts of the Month Bradley DJR and Fern in a gorgeously-designed Christmas hymnal designed by Nigel Ewan and printed by Clatter Press ! It is no secret that I have a soft spot for fonts with horizontal and reverse stress. In fact, I was worried that this affinity would lead me to lean too much on the genre when choosing what I would make you for this club. So I am celebrating a small milestone this month: I managed to make it a whole year without featuring a horizontal stress face in this collection. What restraint! And what better way to celebrate this milestone than to break that streak and send you one right now? Pappardelle Party is a stencil version of Pappardelle, a twentieth century take on the French Antique that I released last October. Compared to its wood type predecessors, Pappardelle takes a more modernist approach, interested more in the abstract shapes than in their connection to the ruggedness of the Wild West. The stencil version further abstracts the design into a geometric grab bag of lines, rectangles, and semicircles. Even though Latin stencil designs tend to have vertical “bridges” that hold the shapes in place, the bridges in Pappardelle Party follow its contrast, creating horizontal bands that cut across a line of text. But Pappardelle Party’s true novelty comes from its unconventional combination of chromatic glyphs, Open­Type contextual alt­er­nates, and a variable axis. With a palette of four colors, the font cycles through four different arrangements of colors for each character that is typed. The starting point of this endless cycle is governed by a variable “Color Spinner” axis. This allows you to vary the “seed” which begins the contextual cycle, and is also great for animation and interaction. With all the things that Pappardelle Party does, it is also notable for one thing it doesn’t do: interpolate. Unlike other variable fonts out there, there are no changing weights or morphing outlines; the variable axis simply swaps out glyph after glyph (a big thank you to Irene Vlachou for her technical advice on this). I hope this will lead to more exploration of how variable fonts can give users new ways to access alternate glyphs. There are a few flavors of color fonts out there, each with their own complexities and support issues. I am sending you two: COLR/CPAL, which has a smaller filesize and is supported by most modern web browsers, and SVG-in-OT, which is supported by apps such as Photoshop and Illustrator (Photoshop can be a little finicky though, so you may have to disable and re-enable Contextual Alternates to get it working). And because alternative color palettes are not supported in apps and browsers quite yet, I now have a new and improved Color Font Customizer, where you can drag on your font, pick your own colors, and download a customized version. Many thanks to Chris Lewis for putting it together! Pappardelle Party is available to order as a back issue for all members of the Font of the Month Club.